Dental implants offer patients a permanent solution to tooth loss. 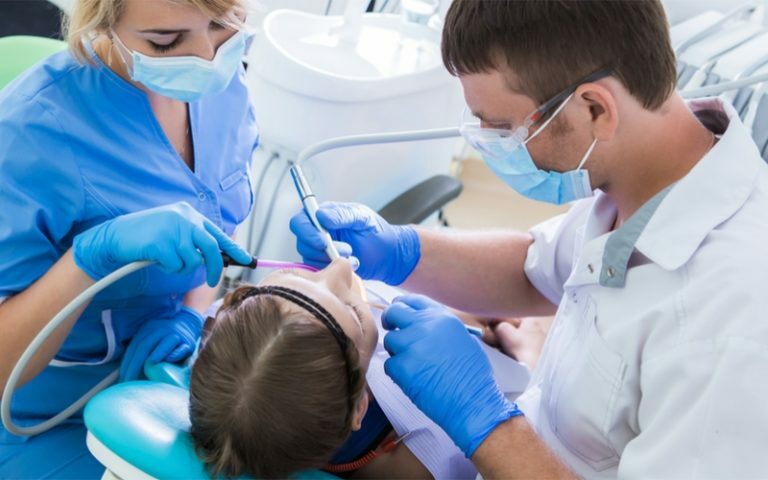 Whether you’ve experienced lost teeth because of decay, damage, or just family genetics, you likely know how embarrassing the situation can be. Once you come into the office and are cleared as a candidate for dental implants, it’s important to start the process of preparing for the procedure and healing. How do I know I am a candidate for dental implants? The ideal candidate for dental implants is a healthy adult who practices good oral hygiene. If you are getting dental implants because of decay or periodontitis, Dr. Simpson will want to ensure that all decay has been eliminated and you’re following a good routine of brushing and flossing regularly. Additionally, you’ll want to avoid smoking and drinking, as these habits tend to make it harder for the mouth to heal. You’ll also want to make sure you eat healthily and avoid processed foods and sugars. Recovery from dental implant surgery is best mapped out within the first day and then subsequent days that follow. Once your pain meds wear off you’ll be quite sore. During the first day we’ll have you bite down on gauze to absorb any bleeding. Bleeding and discharge is normal at this time. Read about the dental implant process to learn more about what’s involved in the surgery. During the first day you’ll want to rest. Set up a spot on your couch, turn on Netflix, and rest. In the evening you’ll be able to brush your teeth, but be careful to avoid the actual incisions. We also recommend you rinse your mouth three times a day with a mixture of one tablespoon of salt in 8 ounces of water. You will notice bleeding and oozing from the surgical site. Place gauze and bite down to absorb the bleeding. Over the next few days, you’ll also begin to swell. This is your body’s natural reaction to injury and shouldn’t cause concern. During the second and third day, you might start to feel a little better. You can start to introduce foods into your diet that are softer. You will likely need some of the pain medication prescribed by Dr. Simpson. Take it as directed. While some pain is expected, extreme pain can be a sign of a dry socket, hematoma, or infection. Don’t hesitate to give us a call. If we feel like what you’re experiencing isn’t normal we will have you come and check it out. It’s always better to err on the side of caution. The healing process for dental implants is long-term. It takes months to completely heal from the procedure. With that in mind, it’s crucial that you take excellent care of your mouth from day one. In the days that follow your mouth will start to feel less tender. While you might start feeling better, it’s important that you continue to take caution when it comes to how you treat your mouth. Avoid hard and chewy foods. Sticky foods will be your enemy for quite a while. During the long term healing process it’s important that you do everything you can to limit stress on the mouth. If you have questions about dental implant surgery or the recovery process, give us a call. Our experienced team would be happy to discuss the surgery with you and help set realistic expectations.